Anthony Davis' trade request is the latest example of a system run amok. Davis upstaged the Super Bowl hype last week when his agent, Rich Paul, announced that he wanted out of New Orleans. It created a tight window before Thursday’s trade deadline to begin what could be a two-phase process for his exit. Phase 1 is, in essence, a presale to which the Los Angeles Lakers have exclusive access. 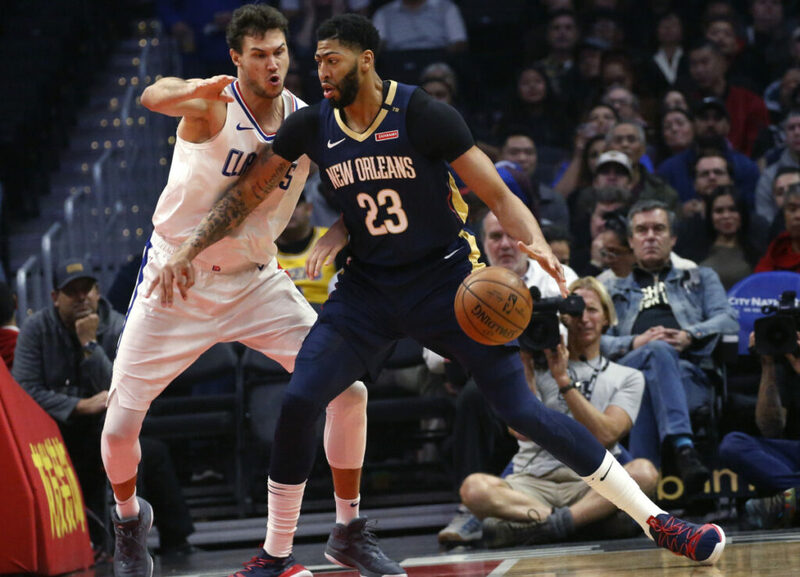 If they can’t convince the Pelicans to make a deal, Davis will endure a long, awkward wait until the offseason, when more teams – most notably the Boston Celtics – will have the resources to make a potentially stronger offer. The Celtics-Lakers rivalry has long defined the NBA, but we’re used to seeing legendary players compete on the court. This time, front offices are battling in private – except when information is leaked and the process becomes so overreported that it complicates the negotiations. For as enjoyable as the constant speculation and reality-show aspect of the NBA can be, this is a problem. At some point, the actual game needs to carry the league again. On the whims of entitled 20-somethings who would rather escape than grind – or who would rather go to the next shiny market than coexist with another star (here’s to you, Kyrie Irving) – the NBA keeps spinning and spinning. Every prominent player is in pursuit of a move that supposedly will change the landscape of the league, yet the Golden State Warriors have no established worthy adversary. It has been nearly nine years since LeBron James changed the game by joining forces with Dwyane Wade and Chris Bosh in Miami. They had the intelligence and audacity to orchestrate a superstar partnership, and while it took the leadership of Heat President Pat Riley and the coaching of Erik Spoelstra to help them win two titles in four years together, the lasting legacy is that they taught players how to manipulate the NBA system and wield their power in the team-building process. Since then, stars have craved such freedom, and the league has dealt with a dilemma. The shocking trades, the innuendo and the free-agent bonanzas have caused fans to obsess about the sport more than ever. But star retention, especially in small markets, is a concern. The supermax contract was implemented to give elite players financial incentive to stay put. But as LeBron and Co. taught them, when you’re a max-contract player who supplements that salary with fat endorsements, you don’t have to be a prisoner to the biggest offer. Two years ago, when Chris Paul was trying to figure out his future, he allowed ESPN to produce a documentary about his decision. He met with his friend, Jay-Z, the rap and entertainment mogul. Paul was telling him about various offers, ranging from $150 million to $200 million. Jay-Z listened and then spoke his mind. But something has to change soon. The Davis situation could end up being a tipping point. Really, over the past nine years, there have been just a couple of league-altering star decisions: James’ moves to Miami, then back to Cleveland and then to Los Angeles; and Kevin Durant joining the Warriors in 2016. Davis figures to be the third player on this exclusive list. He is the best of all modern big men, and he’s only 25. If he forces his way to the Lakers – his preferred destination – he would join James in a historic tandem and set up the Lakers to thrive post-LeBron. And it would tick off the rest of the league, perhaps more than when Durant left Oklahoma City for Golden State.